FUNDERBURK, David, a Representative from North Carolina; born in Langley Field, Va., April 28, 1944; graduated Aberdeen High School; attended Wake Forest University, 1962-1967, B.A. and M.A. ; University of South Carolina, Ph.D., 1974; instructor, Wingate College and University of South Carolina; associate professor, Hardin-Simmons University; professor Campbell University; U.S. 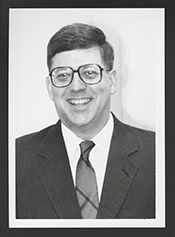 Ambassador to Romania, 1981-1985; professional lecturer and writer, 1988-1994; elected as a Republican to the One Hundred Fourth Congress (January 3, 1995-January 3, 1997); was an unsuccessful candidate for reelection to the One Hundred Fifth Congress.